In basic terms, SEO comes down to two things: on-page SEO and off-page SEO. We wrote about on-page SEO over on CommPRO last year. If you haven’t read that post, it’s worth checking out – even if it’s just a refresher for you. This week we’re digging into one of the most important aspects of offsite SEO – inbound links. Before we get into the details of inbound links, we should first mention how critical inbound links are to SEO. About 50% of your ability to rank in search engines is based off of the quality and quantity of inbound links to your site. 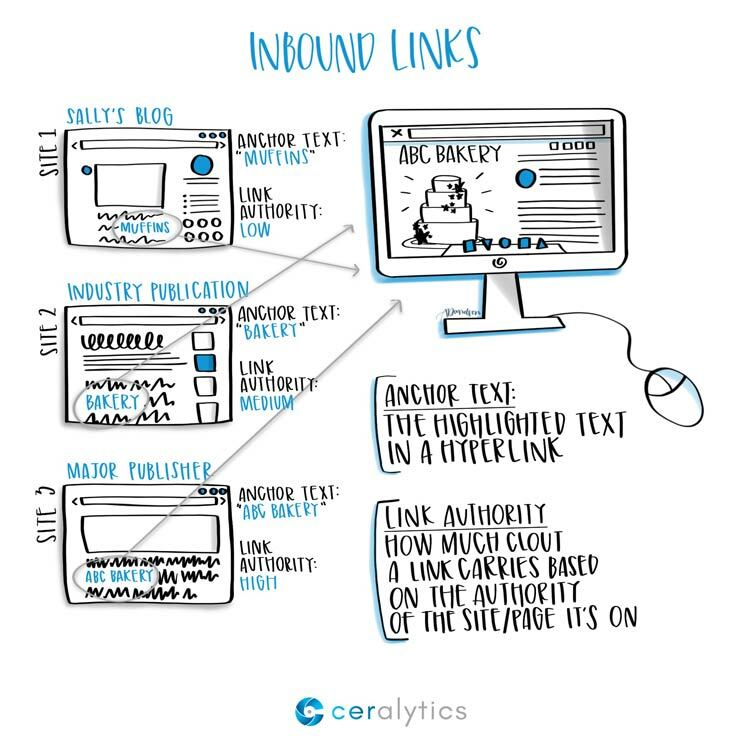 Without understanding inbound links, your content has little chance of ranking well, and therefore will be harder to find. An inbound link is a link from another website to a page on your website. The anchor text, which is the text that is highlighted in the link that gets people to your site. The link is in the code behind the anchor text, pointing to https://www.youtube.com/watch?v=FTQbiNvZqaY. Thus, this example is an inbound link for YouTube. Humor us, because this is the story of how to make billions of dollars and take over the digital world. In the early days of the World Wide Web (remember when we called it that? ), search engines like Excite and Altavista based a large part of their search results on how often a keyword was present on a webpage. The more mentions of a keyword in your content, the higher you ranked. Obviously, this got abused like crazy. People keyword spammed webpages so they could rank higher for highly searched keywords. But those pages would seldom be trustworthy or helpful. It was a mess. Then, in 1996, two Stanford students named Larry Page and Sergey Brin worked on a research projected named “BackRub” where they tried to make a huge graph of how the budding World Wide Web was interconnected. They based the research on…drumroll…inbound links from one website to another. Their theory was that you could tell the quality of a webpage by how many inbound links it had, as well as how authoritative each website that linked to it was. In 1998, this project became a little company called Google. Inbound links give search engines a ton of information on how valuable and trustworthy a piece of content is online. An article with a lot of inbound links from established websites is trustworthy because those established sites are casting a vote of confidence by linking to that content. The value of these inbound links is called the link authority. Link authority is based on the overall authority of the website (how many trusted websites link to the whole domain) as well as the authority of the individual page (how many trusted websites link directly to that page). Pages with high link authority pass on some of that authority to other pieces of content they link to. It’s like when the popular kid at school decides you’re his friend. Now you get cool points through association. This is why getting links to your website from established websites like industry publications or even large publishers like Forbes is so important. It’s a sign to search engines that you’re a trustworthy source of information. In the late 1990’s, if you searched for the term “exit” in a search engine, the number one result was for Disney.com. Disney.com didn’t have anything to do with the term “exit,” so why would it rank #1 for it? Anchor text gives search engines some context about what the linked page is about. 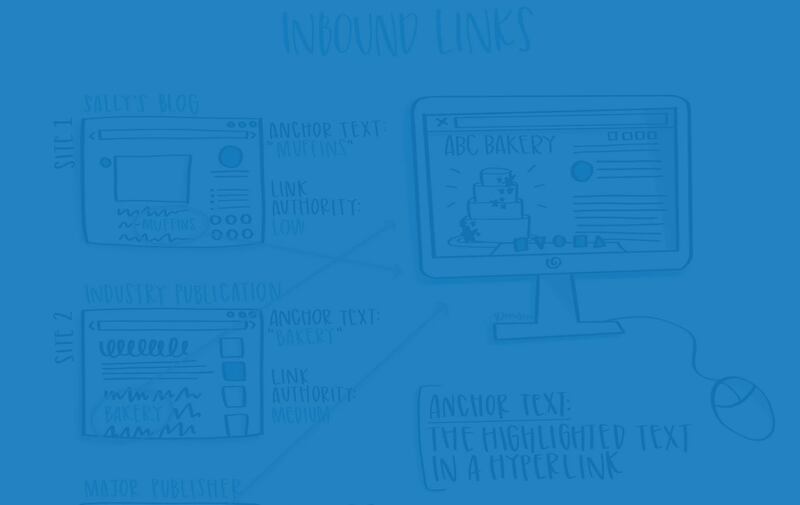 An inbound link from an authoritative site with anchor text that includes the keyword of your page is the best case scenario in terms of an inbound link. For example, in the sketch at the top of this post, the site linking to ABC Bakery with the highest link authority uses the anchor text “ABC Bakery.” If ABC Bakery wanted to rank better for the keyword “muffins,” they could try to reach out to that linking site and ask them to change the anchor text from “ABC Bakery” to “muffins.” That would give ABC bakery a great inbound link that also tells search engines that their site is about muffins. These inbound links also impact the trustworthiness of the entire website. As the website as a whole receives more inbound links, every piece of content on that site benefits. If you search for any noun in the English language, there’s a good chance that Wikipedia’s page on that subject will come up in the top 3 results. This is because Wikipedia’s site has a massive amount of inbound links from trustworthy sites. So even if Wikipedia’s page on osmosis doesn’t have a lot of inbound links, it will still rank very high because Wikipedia’s site has an incredibly high level of trustworthiness with search engines. 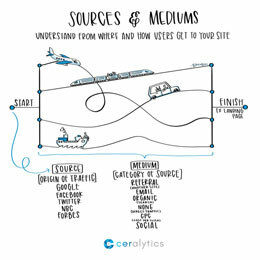 Google uses over 200 different pieces of data from websites to determine how they rank searches. But knowing how on-page SEO and inbound links work gives you a solid SEO foundation on which to build your content. To rank high in search engines, content marketers and SEOs look to build inbound links to their content from many established websites. The more authoritative links their content gets, the better chance that content has to rank well in search. There are thousands of articles about how to build inbound links, but the most ethical way to build inbound links is to create content that is worth linking to. That means creating content that others will want to reference and link to in their own content. Our goal is NOT to give you best practices to go out and do what other people do. You can get that anywhere.